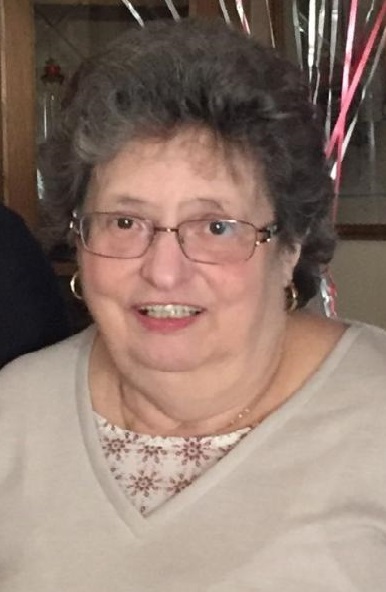 Christina C. Bennett, 71, of 91 Pete's Blvd, Bradford, passed away, Tuesday, August 7, 2018, at Hamot Medical Center in Erie, surrounded by her loving family. Born April 24, 1947 in Bradford, she was a daughter of the late Michael and Ann (Wilson) Capinjola. Mrs. Bennett was a 1965 graduate of Bradford High School. On November 20, 1971 in Bradford, she married Charles E. Bennett, who survives. She was a member of St. Bernard Church. She had been employed at Zippo Manufacturing for over 44 years. In addition to her husband of 46 years, she is survived by two daughters, Joey Marie Ford and Francine (Jude) Luke, two sons, Scott Michael (Sherrie) Bennett and Jeffery Thomas Bennett all of Bradford, nine grandchildren, two great grandchildren, one sister, Ann (Richard) Meacham, of Shinglehouse and one brother, Fred (Betty) Merryman, of Las Vegas, and several nieces and nephews. Family will be receiving friends on Friday, August 10, 2018, from 4:00 to 7:00pm in the Hollenbeck-Cahill Funeral Homes, Inc., 372 East Main St., and again on Saturday from 9:30am to 10:30am. A Mass of Christian Burial will be celebrated at 11:00am in St. Bernard Church with Rev. Raymond Gramata. Burial will follow in St. Bernard Cemetery. Our thoughts and prayers are with you Ed and family: Chris was a wonderful person and she will live on in our hearts forever! Ed and family, I was so shocked to read this in the paper this morning. Chris was a wonderful person. We were friends since high school. My condolences to all. To family of Christina. So sorry for your loss. She will be missed sadly. Our thoughts and prayers go out to you. May God bless. I am so very sorry for your loss. Chris was a wonderful person and will be missed. Prayers for all. My condolences to the whole family. I could not believe when I heard this sad news about Chris.what a nice person she was and I''m praying for the whole family to help you through this difficult time.